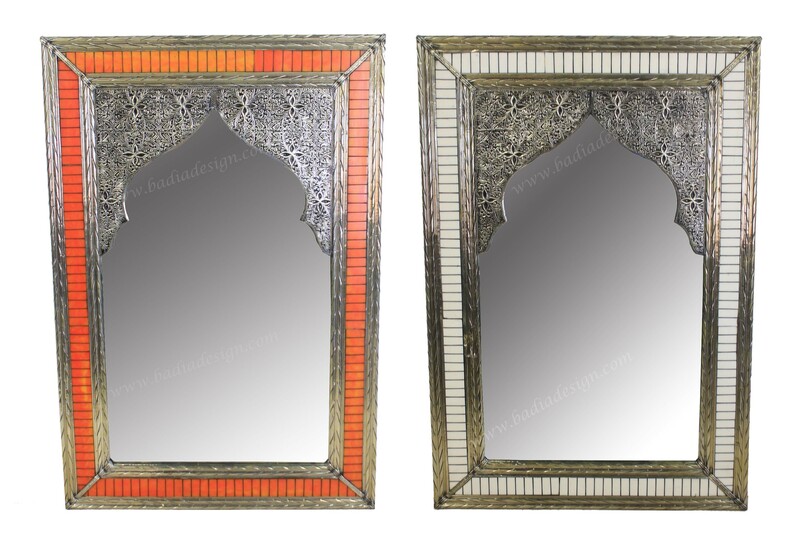 Moroccan Rectangular Shaped Metal and Camel Bone Mirror from Badia Design Inc. Please note that there are four different sizes listed, please choose which size you want to purchase from above. Click the button below to add the Rectangular Shaped Metal and Camel Bone Mirror - M-MB069 to your wish list.